The final line up has been announced for Edinburgh’s first ever wellbeing festival. 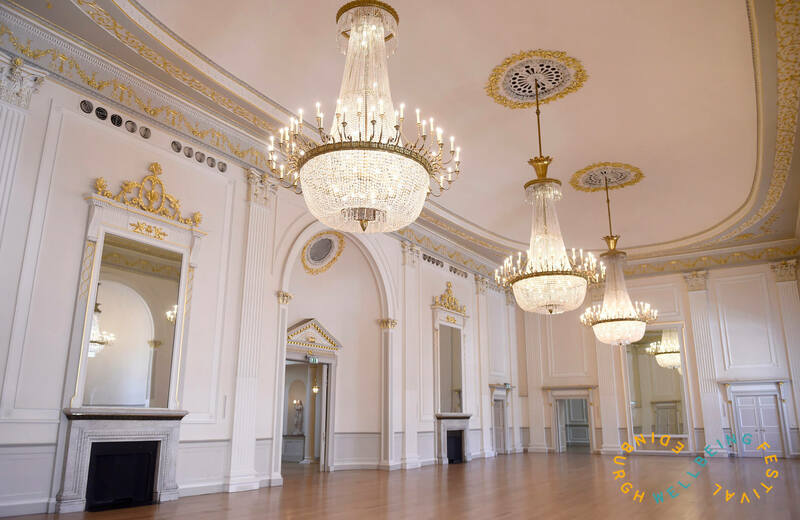 The City of Edinburgh Council and Good Thinking have joined forces to curate a packed programme of feel-good activities and self-improvement talks which will transform the city’s Assembly Rooms into the Edinburgh Wellbeing Festival on Saturday 27 and Sunday 28 January. The event will bring together some of the biggest names in health and fitness in the capital, from Michelin starred chef Tom Kerridge and Shona Vertue to global influencers Chloe Madeley and Jasmine Hemsley of Hemsley + Hemsley fame. New day and weekend tickets have been released to the inaugural event which not only encourages people to get more active, but to look after their mental and physical wellbeing with a focus on health, fitness, mindfulness and nutrition. Activities across the weekend include stimulating discussions from a range of health experts including BBC 1’s Doctor in the House Dr Rangan Chatterjee, Dr Hazel Wallace (The Food Medic) and fitness blogger Chloe Madeley, alongside talks from bestselling authors Jasmine Hemsley and celebrity chef Tom Kerridge. Visitors can enjoy Clubbercise and Bollywood classes as well as the opportunity to learn new moves from David Beckham’s yoga instructor Shona Vertue. With an exclusive wellbeing marketplace full of leading products and services, including free health MOTs, massage, reflexology and herbal remedies, it’s the perfect way to get 2018 on the right track to a better, healthier lifestyle. Edinburgh Wellbeing Festival is run by The City of Edinburgh Council and Good Thinking. Partners for this first year are Yellow Kite books, Tribe Yoga, Pure Gym, Nuffield Health and lululemon. Tickets start at £5-£12 for individual classes to £32.50 for a day pass and £55 for the full weekend. For more information and to buy tickets, please visit the Edinburgh Wellbeing Festival website.